During the 1970s, the National Endowment for the Humanities provided Living History Farms grant funding that established the groundwork for the organizations' beloved interactive exhibitions. Image courtesy of Living History Farms. A museum that illuminates four centuries of midwestern agriculture, Living History Farms depicts life in a frontier community and on Ioway Indian, pioneer, and horse-powered farms. The sites are spread across 500 acres; agricultural experts farm each of them using historically-authentic methods. Construction of Living History Farms began in the 1970s and, during this period, the NEH supported the organization as it undertook research, developed its living exhibitions, and began its community-focused programming. 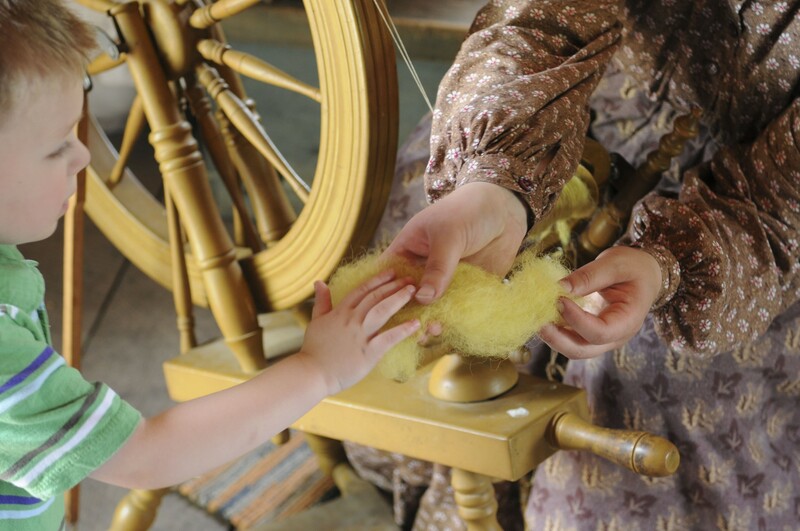 At Living History Farms, visitors can take part in traditional farm chores such as spinning wool and churning butter. Image courtesy of Living History Farms. 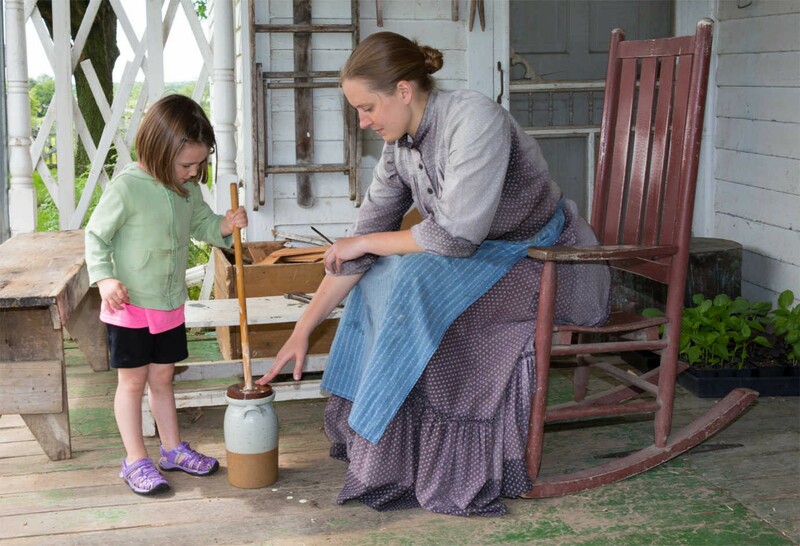 Living History Farms depicts life in a frontier community and on Ioway Indian, pioneer, and horse-powered farms. Image courtesy of Living History Farms. Putting up hay in the barn at Living History Farms. Image courtesy of Living History Farms. A mule at the 1900 farm. Image courtesy of Living History Farms. 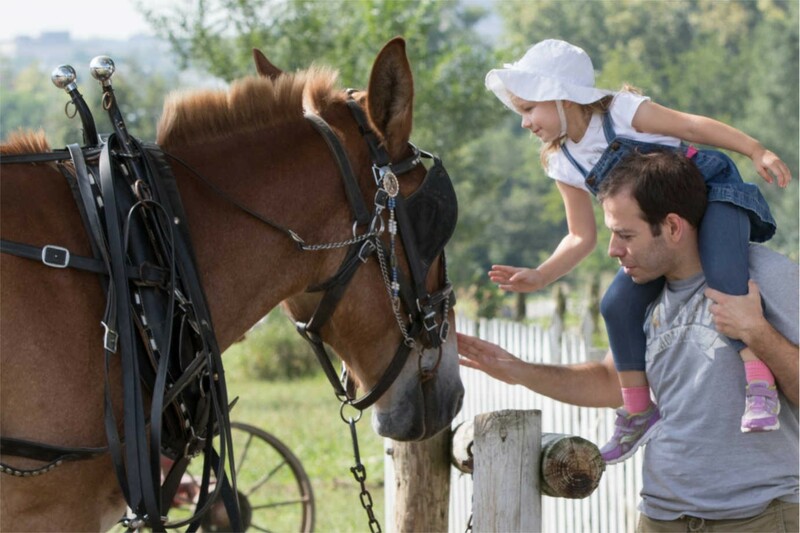 Since then, Living History Farms has been consistently recognized as a world-class agricultural museum, one that enriches and entertains in equal measure. It was visited by Pope John Paul II in 1979 and has played host to many American presidents and Members of Congress. It is also a hub and a resource for the community. Living History Farms has become a place to which locals return time and again. A frequent site for weddings, it has a long tradition of hosting community-oriented events, including monthly historic dinners held at the various sites and annual holiday celebrations. 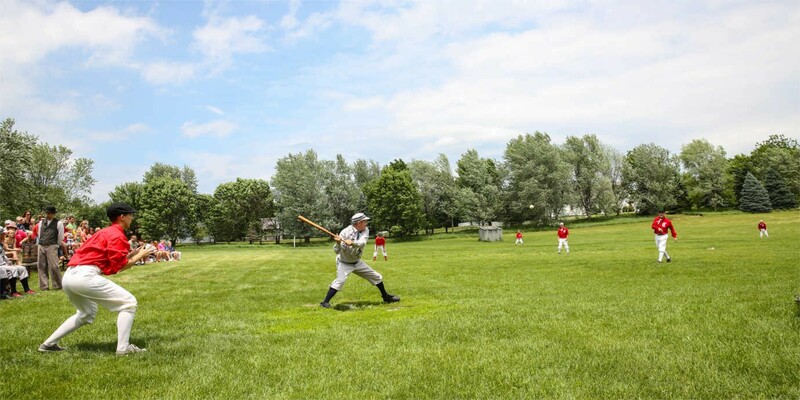 Living History Farms even hosts a league of historic baseball teams—their games rely on an older set of rules than is in current use. Teams play historic baseball at Living History Farms. Image courtesy of Living History Farms. 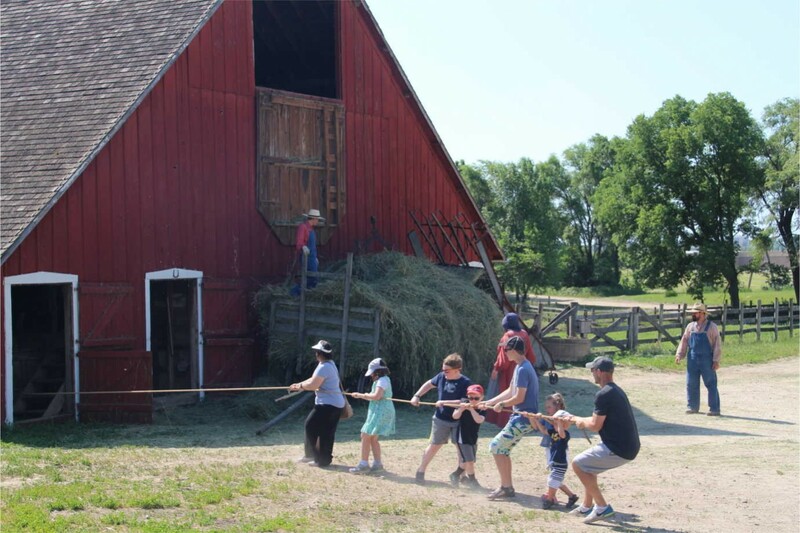 While the NEH’s strong support helped establish Living History Farms as a cultural resource and venue, more recently it has helped the organization continue its mission through the NEH on the Road program. 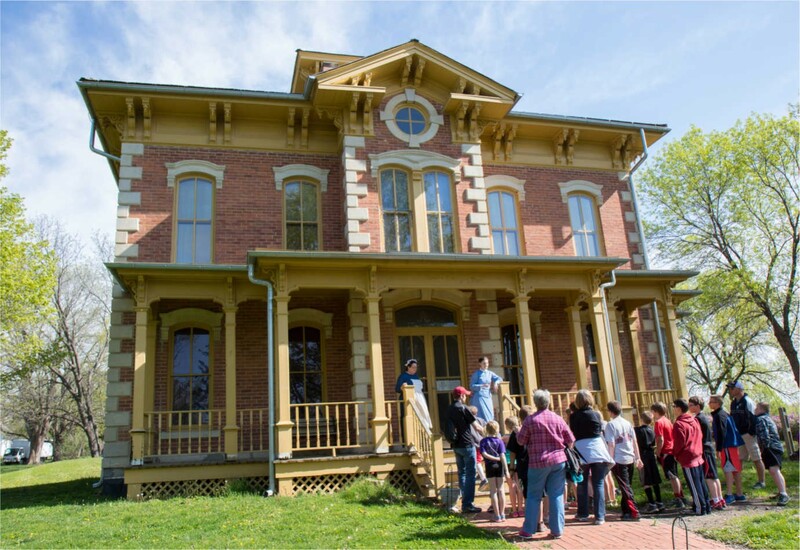 Through traveling exhibitions, including House & Home, Spirited, Prohibition in America, and Farm Life, Living History Farms has been able to provide high-quality exhibitions and programming to its visitors without the significant financial investment required to create new exhibitions.